Frosty Trails is a dogsledding company based on the Arctic Circle in Swedish Lapland. 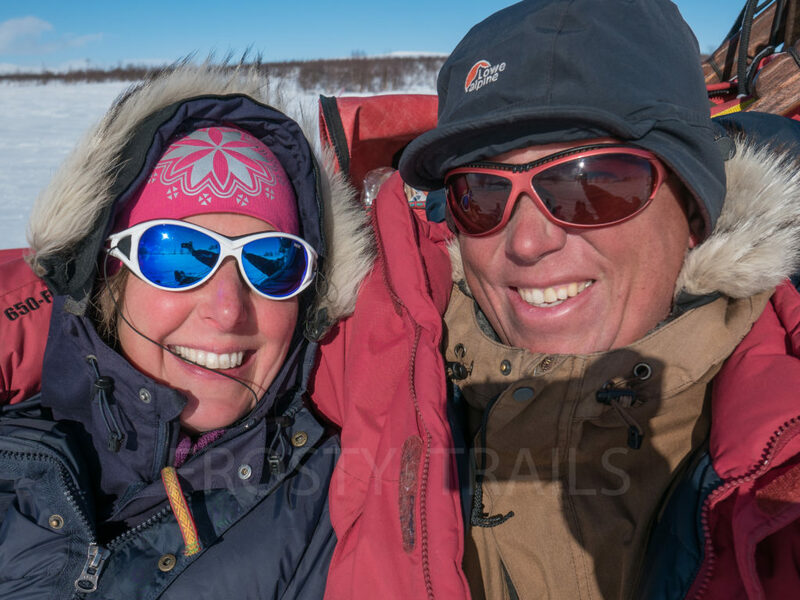 We specialise in weeklong dogsledding tours in the boreal forest as well as through the mountains. The company is named after our oldest lead dog Frosty, who is now retired and lives inside our house. We have got our own pack of 32 huskies who are living in dog pens close to our house. The dogs are mostly Alaska Huskies, although we do have a couple of Siberians as well. Winter is our high season. During the midwinter period (december to february) we run tours in the boreal forest. In spring (march and april) we head out for the mountains. Frosty Trails is a member in the Swedish Ecotourism Society. Both Kristien and Olav carry a NOLS/WMI International Wilderness First Aid qualification, updated every second year during a 3-5 day course.